this is cool! 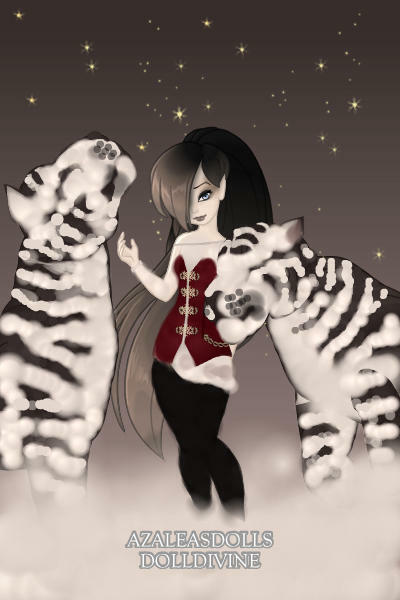 i like how the girl is kind of gothic, and then the snow tigers are just like 'we love you'! This is just...how did you even??? I love this to pieces!!!!!! This is the straw, I cannot control myself any longer, you now have a new follower! I don't know what took me so long! This is insanely amazing!